US 'wants lots more' from Burma Jump to media player Burmese President Thein Sein has hailed a "new chapter" in relations with the US during talks with Secretary of State Hillary Clinton in the capital, Nay Pyi Taw. 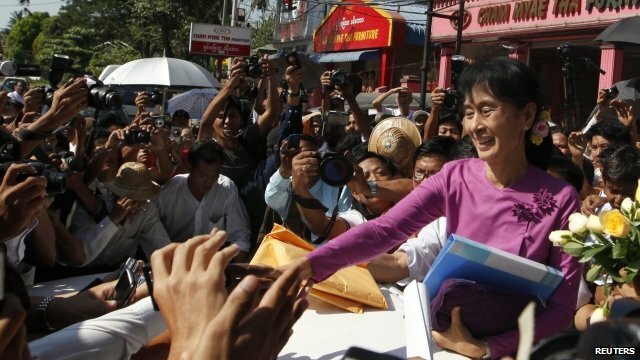 Aung San Suu Kyi to stand in poll Jump to media player Burma's pro-democracy leader Aung San Suu Kyi has said she will stand for election to parliament, as her party rejoined the political process. 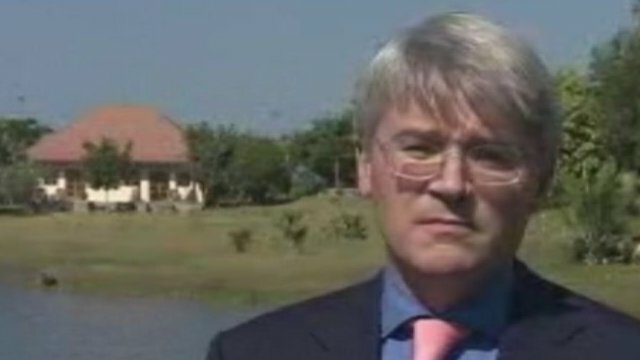 Mitchell: Burma must free prisoners Jump to media player The UK's International Development Secretary has said that there are grounds for "cautious optimism" about the political situation in Burma, but warned there is still a long way to go. 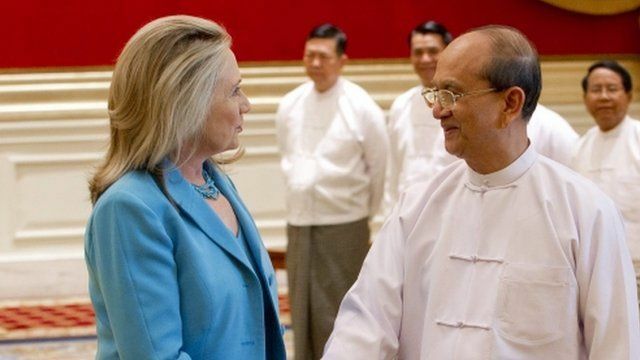 Burmese President Thein Sein has hailed a "new chapter" in relations with the US during talks with Secretary of State Hillary Clinton in the capital, Nay Pyi Taw. Mrs Clinton, the most senior American to visit the country in half a century, told the president she was "encouraged" by recent policy changes. The US maintains tight sanctions on senior figures in Burma's hierarchy but a series of reforms this year has led to speculation that decades of isolation could be about to end. According to the BBC's Rachel Harvey, Washington's message to Burma is: "We like what we see so far, but we want to see a whole lot more before you get the rewards you want."